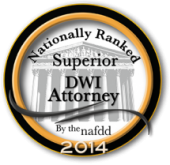 With regard to all criminal offenses, DWI or DUI is probably the most commonly charged criminal offense and affects the largest majority of individuals. It is considered more of a social crime and occurs as the result of an individual’s bad decision making as opposed to a lot of other crimes that are a product of criminal intent. For instance, no one, before heading out for a social gathering intends or even believes that their evening may end in a jail setting being asked to submit to chemical testing of their blood, breath or urine and subsequently being charged with a drunk driving related offense. 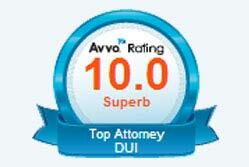 However, if you do find yourself in this situation, seek the assistance of one our skilled DWI attorneys. The owner of Kans Law Firm, LLC, Douglas Kans, is a highly respected DWI attorney with over 20 years experience who has successfully represented thousands of DUI related charges throughout the state of Minnesota. Many people believe that a DWI charge is simply the result of driving a motor vehicle after consuming too much alcohol; however, a person can also be charged with a DUI after taking specific drugs even those that are prescribed for a medical condition. There are certain drugs that merely having the drug in your system at the time of driving can result in a DWI conviction. It is also a violation of Minnesota state law to drive a motor vehicle while under the influence of marijuana. Underage drinking a driving. This is defined as an individual under the age of 21 driving a motor vehicle after having consumed any amount of alcohol. Criminal Vehicular Operation. This is defined as a DWI resulting in injury to another individual. DWI while operating an All-Terrain Vehicle. DWI while operating a snowmobile. This is usually referred to as a misdemeanor DWI related offense. This level of offense would be charged if the driver had no other “aggravating factors” present at the time of the offense. This offense is punishable by a maximum sentence of 90 days in jail/$1,000 fine. This offense is referred to as a gross misdemeanor DWI. This means that there exists an aggravating factor that was present at the time of the violation or the driver refused to submit to chemical testing at the police station. This could include a prior DWI conviction within 10 years from the date of the offense, the driver’s blood alcohol concentration was .16 or greater or a child under the age of 16 was a passenger in the vehicle at the time of the arrest. The maximum penalty for this level of DWI is one year in jail/$3,000 fine. Also referred to as a gross misdemeanor DWI offense. In order for the driver of a motor vehicle to be charged with this offense he or she would have to have two or more aggravating factors present at the time of the arrest. The maximum penalty for this offense is also one year in jail/$3,000 fine. This is the most serious of DWI offenses. The driver must have three prior DWI convictions or license revocations related to DUI on his or her driving record within 10 years of the current offense to be charged with felony DWI. An individual could be charged with felony DUI if he or she had a prior felony level DWI conviction in their past. As a DWI offense becomes more serious, the likelihood that it may require a mandatory jail sentence increases. In Minnesota, state law directs what the mandatory minimum jail sentence shall be based on a conviction for a particular level of DUI offense. For example, a conviction for a third degree DWI while having a prior conviction for DUI or alcohol related revocation within ten years carries a mandatory 30 day jail sentence by statute. A DUI conviction in Minnesota will also carry mandatory requirements that an individual must complete so as not to violate probation. This could include being ordered to have a chemical assessment completed and being required to satisfy, in full, all the recommendations of the assessment. This could include inpatient or outpatient treatment or alcohol related educational classes such as a victim impact panel. 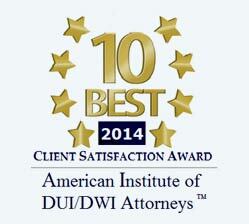 The potential ramifications of a DWI/DUI conviction can be dramatic. This could include criminal sanctions as well as collateral consequences such a losing your job, if your employer has a policy about an employee having such a conviction. Therefore, it is extremely important that you contact a skilled legal defense lawyer at Kans Law Firm, LLC to aggressively defend your case. 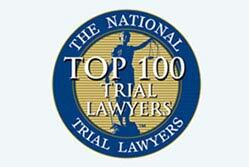 Call the Kans Law Firm today at (952) 835-6314 for a free consultation.